Nyt Europa is please to present invite Young Europeans all over Europe, to the Youth Summit in Denmark: Young Europe is Voting. 200 young people will meet in Denmark, working together to strengthen the voice of youth in the upcoming European election. • Dates: A Youth Summit taking place in Denmark on the 6th – 12th of May 2019. • Participants: 100 young people from all over Europe and 100 Danish folk high school students will meet and join forces around the issues concerning youth in Europe. • Themes in focus: Youth under pressure, Culture & Identity, Climate, Refugees & Migration and EU in the World. • Facilitation: A group of enthusiastic professionals emphasizing both the vocational training and education as well as the social aspects. • Purpose: To give young people a voice in the election and at the same time raise awareness of the importance of voting amongst the youth of Europe. What do they get: Vocational training and education, as well as great fun with new friends. What do we expect: We expect that the participants will help us raise awareness of the election among other young Europeans. • We cover up to 265 Euros for transportation to Denmark. Meals, accommodation and transportation in Denmark will be covered as well. Civic Alliance-Latvia is happy to announce the Baltic Sea Region NGO forum 2019 that will take place on May 9-11, 2019 in Riga, Latvia! It will be 3 day event where around 100 CSO activists, government representatives, academia and media people from 11 Baltic Sea Region countries will meet, discuss, establish personal contacts, find project partners and networks with the aim of developing and strengthening civil society co-operation in the Baltic Sea region. From 1 July 2018 to 30 July 2019, Latvia holds the Presidency of the Council of the Baltic Sea States (CBSS). The CBSS is an intergovernmental cooperation format for the promotion of political dialogue and practical cooperation among member states seeking to strengthen the region’s sustainability, security and identity. Already after 2 months around 100 CSO activists, government representatives, academia and media people will meet in the Baltic Sea Region NGO forum 2019 that will take place on May 9-11, 2019 in Riga, Latvia! Aim of the Baltic Sea NGO Forum is to express the strong commitment of the civil society in the sustainable development of the region by building the regional identity of active and responsible citizenship and promotion of the trust among different stakeholders and civil society. Detailed announcement and draft agenda available HERE. You can: Like us on Facebook ; Follow us on Twitter; Follow us on Instagram; Join our Facebook event. 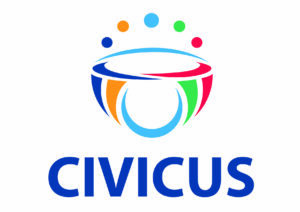 civic and global education. Organiser will provide premises, catering and full administrative support. Travel and accommodation of speakers can be covered upon request. Participants of the Forum from Baltic Sea Region by April 1. The world is facing major ecological, social, and economic challenges. Complex issues manifest themselves more prominently: urgent, challenging, alarming. Everyone is needed to solve them. Cities play a crucial role in this. Apparently, they have something special. Cities have the ultimate mix of competing and collaborating, of criticism and optimism, of deep thinking and just doing. That’s why cities move faster than the rest of the world. The Amsterdam Metropolitan Area is the combination of cities where residents, knowledge institutions, businesses, and government easily connect. Cities where traditionally power and influence include rather than divide. We celebrate and accelerate this with WeMakeThe.City, the annual international festival that makes cities better. We mobilise everyone who lives, resides or works in cities. The festival is a celebration with one clear objective: better cities of, for, and by all! WeMakeThe.City is many things; an invitation, a manifest, a stage, a living lab, a coalition, a focus point, and a new starting point for the next year. Be active, be smart! Come and join us and share new ideas for Europe in Torino! In the past year, the Y Vote project has aimed to encourage young people to make informed choices at the European Parliament elections while increasing their knowledge about topics that are relevant for young Europeans. To reach this goal, seven conventions, corresponding to the topics of the EU Youth Agenda, have been organised. 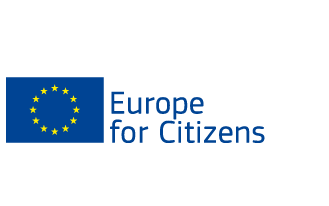 As a participant, you will learn about the functioning of the EU and review the recommendations created in previous conventions. What will follow is an event which will focus on self development workshops for citizenship and exchanges between you and other participants aimed at making you more aware of the variety of information that people receive and widen your spectrum. You will be able to see and discuss these interesting suggestions created by our previous participants as well as leave your own personal mark in our campaign. Bridges event sessions will explore how the current regional and global civil society context is changing, and connect participants and strengthen collaboration. Streets event sessions will look at ways to build constituencies and deepen the skill sets needed for successful civic action. Stairs event sessions seek to identify ways to build and sustain collective impact, and connect local and global efforts.